Chappie is Neil Blomkamp’s ode to robot films of the 1980s, like Robocop and Short Circuit, and this little Walt Disney flick, Pinocchio, from 1940. It has a big heart, the desire for its protagonist to be a “real boy,” and some social issues to sort through. But while District 9 told a story that stuck to its narrative, Chappie feels muddled, overlong, and a few f-bombs overdone in the shock-and-awe department. Relax, sci-fi fans, Blomkamp next takes aim at an Alien reboot. Surely, Sharlto Copley can’t be far behind. 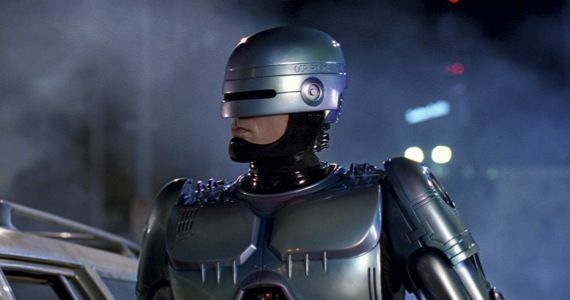 Here, we’re introduced to the world of Johannesburg circa 2016, where human police forces are being augmented by robotic cops. On one side, inventor Deon Wilson (Dev Patel) created the original attack robots and longs to imbue them with artificial intelligence; on the other is his rival, Vincent Moore (Hugh Jackman), who has created an ED-209-like machine that is controlled by a human but is deemed to expensive. The two of them clash over funding distributed by their mutual boss, Michelle Bradley (Sigourney Weaver – because what sci-film of note hasn’t had her in some role…), and ideology. For the record, Moore is pompous, violent, and racist; it seems no coincidence that Blomkamp casts Jackman with his flowing mullet in the same depiction as the street life thug Ninja (Ninja… yep.) Moore is the (main) villain here, but stupidity is the disease. Idealistically though, Blomkamp is chasing the age-old sci-fi question (or rather the oldest human question): what does it take to create real life? When it comes down to it, Chappie wants to know what it would look like for human consciousness to transcend the physical, in some Zen/Buddhist mash-up that involves the machine. Sure, it’s better than Transcendence, but the way it all plays out doesn’t really make a ton of sense… and it doesn’t explain the morality that comes into play. With minor spoilers, it becomes a question of nature versus nurture, but the battle is really between the “creator” Deon (wait, are we channeling Aronofsky’s Noah again with all this creator stuff?) and Ninja, who wants to use Chappie as a super-thief. Deon tells Chappie stuff he thinks he should know, but Yolandi provides Chappie with nurture and Ninja tries to corrupt his “nature.” Yolandi works her head around understanding what Deon has said about Chappie’s “development” while Ninja just wants to “raise” him to be gangsta. There’s a bunch of that “type” of stuff to unpack, but the movie can’t focus in enough on it (or provide a justifiable ending) to merit real kudos. 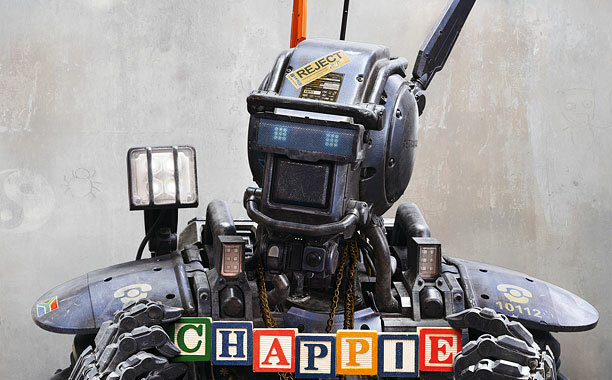 This entry was posted in Current Events, Movie Reviews, Reviews and tagged Chappie, Dev Patel, Hugh Bonneville, Neill Blomkamp, Ninja, Robocop, Sharlto Copley, Short Circuit, Sigourney Weaver, Yolandi. Bookmark the permalink.